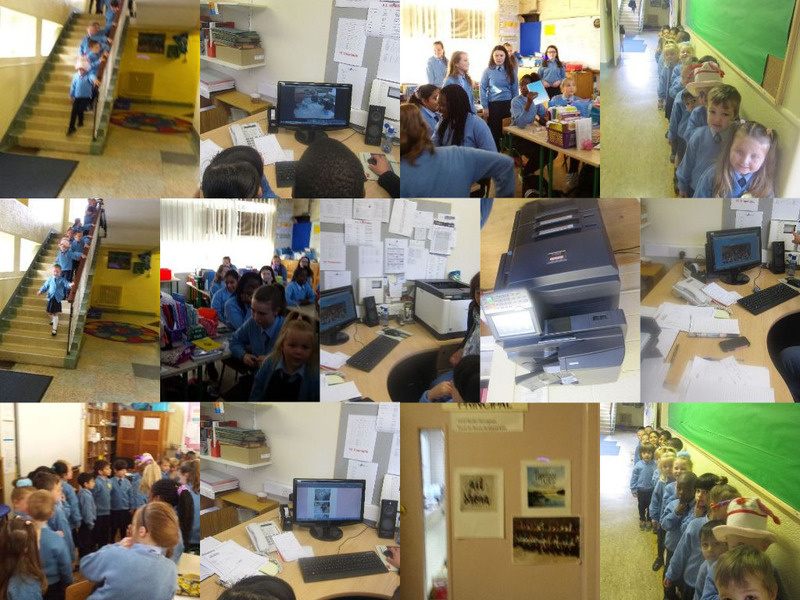 We have been learning all about Scoil Mhuire this month. Teacher brought us on a tour of the school-we visited Mary in the office, we held on to the bannisters as we walked up to the top corridor where all the big girls work really hard. We said hello to the girls in 6th class and Ms. McCarthy, their teacher. We sang nursery rhymes and they sang for us too. We measured ourselves against the big girls-they are so tall. We can't wait to grow and be like them one day! Ms. Burke-Heneghan was very busy at a meeting-we hope to visit her in her office again soon. We are now at home in 'Room 1'-we know the room inside out at this stage-everything has a place in the room and we have become experts at tidying up. 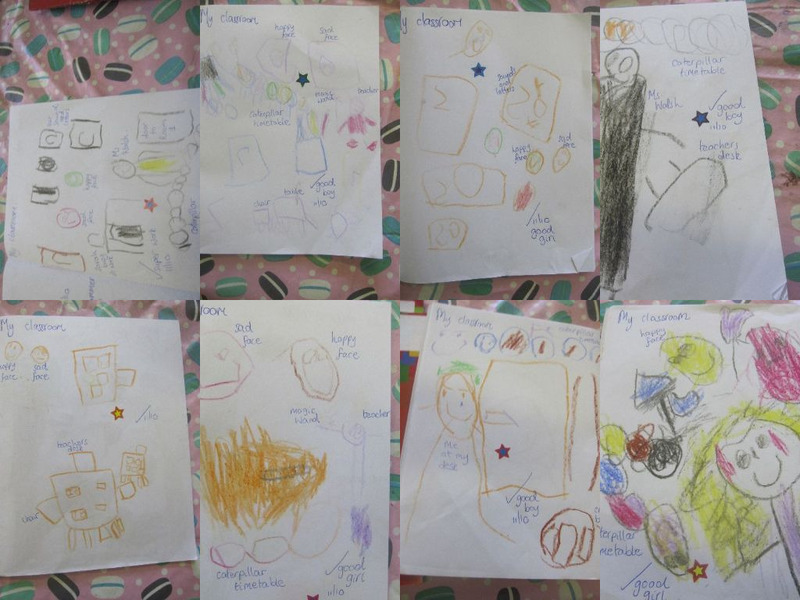 We love when we see our name in the 'happy face' and it makes us happy when our group get stars for good behaviour. We are little artists in the making.....look at our pictures of our classroom!